Android SQLite Database is an Open-Source embedded SQL database engine that provides a relational database management structure for storing user defined records in the form of tables. SQLite is light weight and supports all the features of relational database. Unlike other RDMBS systems, you need not maintain any server setup for this kind of database. 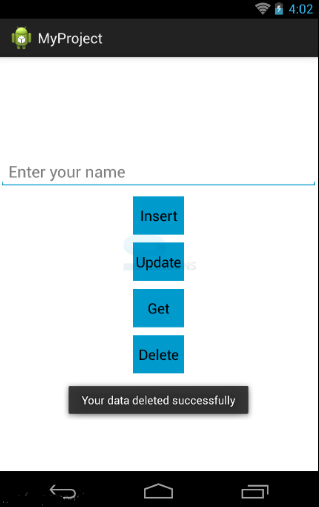 Android SQLite Database is a cross platform and self-contained database. 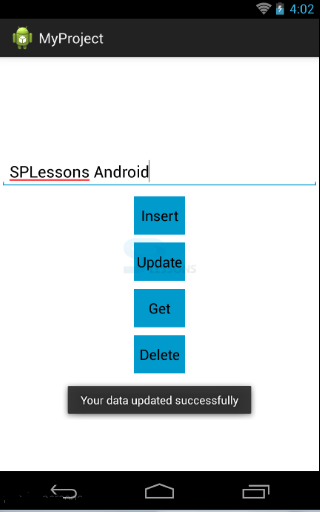 Android comes in with built-in SQLite database implementation and is included in API Level 1. In this tutorial, we will teach you how to write classes to handle all SQLite operations. If your application creates a database, it will be by default saved in the directory: data/data/APP_PACKAGE_NAME/databases/DATABASENAME. In order to view this path, you must open DDMS->File Explorer. 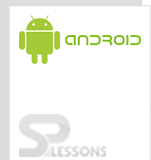 The android.database package contains all the necessary classes for working with database. The android.database.sqlite package contains the SQLite specific classes. 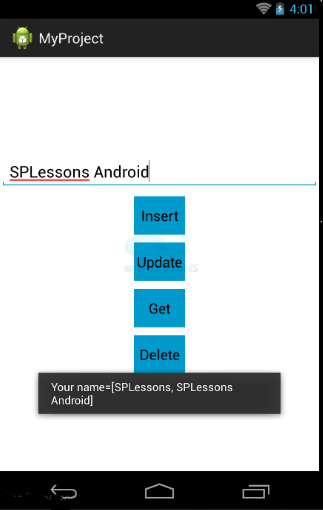 To create and upgrade a database in your Android application, you should create a subclass of the SQLiteOpenHelper class. In the constructor of your subclass, call the super() method of SQLiteOpenHelper, specifying the database name and the current database version. • onCreate() – is called by the framework, if the database is accessed but not yet created. • onUpgrade () – This method should be called, if the database version is updated in your application code. This method allows you to update an existing database schema or drop the existing database and recreate it via the onCreate() method. Both methods receive an SQLiteDatabase object as a parameter, which is the Java representation of the database. The SQLiteOpenHelper class uses the getReadableDatabase() and getWriteableDatabase() methods to access a SQLiteDatabase object either in read or write mode. SQLiteDatabase is the base class and provides methods to open, query, update and close the database. • execSQL() which allows to execute an SQL statement directly. The object ContentValues allows to define key/values. The key represents the table column identifier and the value represents the content of the table record in this column. ContentValues can be used for insertion and updation of database entries. Queries can be created by using the rawQuery() and query() methods or the SQLiteQueryBuilder class. query() provides a structured interface for specifying the SQL query. Create UserDatabase.java class under src/<your packagename>. This class has an inner class and extends SQLiteOpenHelper. KEY_NAME + " TEXT NOT NULL "+");"
Create Bean.java under src/<your packagename> which is a JavaBean class. This class provides access to properties using getter and setter methods.